The packaging used by Rawlplug has been designed to be environmentally friendly as well as easy to use and functional to customers. Our packaging meets these criteria on several levels – from transport and presentation of shelves, down to the actual use. Since Rawlplug’s packaging labels feature colourful elements, we use sustainable water-based flexographic inks of unparalleled durability. They are so special because they contain pigments that are free from heavy metals such as lead, cadmium, chromium, antimony, arsenic, mercury or nickel They also contain no volatile organic compounds which have been categorised by the U.S. Environmental Protection Agency (EPA) as sources of toxic ozone. One of the ways to minimise our environmental impact is to make the colour-printed packaging surface area as small as possible. It means that, firstly, only 20% of the packaging area is covered by graphics, which additionally enhances its natural appearance; secondly, colours are only fixed on the required 5% of the overall surface area, and thirdly, we minimise the packaging surface which requires application of adhesives. Wherever it is possible, we use environmentally sustainable technologies. We can pursue this goal by different means, such as printing of QR codes on packaging, where instead of the traditional hard copy manual, the client is given access to convenient tutorials and photo or video instructions. 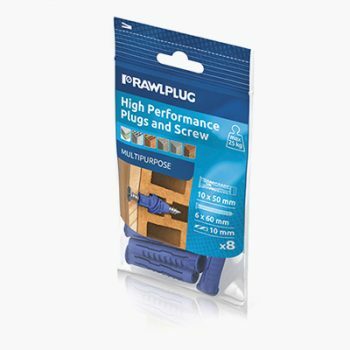 Whenever we can, we also reduce the quantity of packaging to deliver Rawlplug’s products to distributors and retailers. How is that possible, one might ask. We may, for instance, abandon bulk packages – i.e. cardboard transportation boxes – to deliver products ready to display at points of sale. It is possible thanks to the durability of the product packaging we use as well as the simplicity of designation provided in an easy to remove information tag inside the packaging. We consider the recyclability of all Rawlplug packaging to be extremely important. That is why we are authorised to place a green dot on our products, marking them as environmentally friendly. This symbol is globally recognised as a confirmation of conformity with the European Union requirements. What are they? Rawlplug’s packaging portfolio satisfies even the most demanding clients who expect tailored solutions. While designing them, we followed the principles of simplicity and intuitiveness, on the one hand, and on the other hand, maximised utility value and multifunctionality. Learn about all the opportunities that Rawlplug packaging provides. 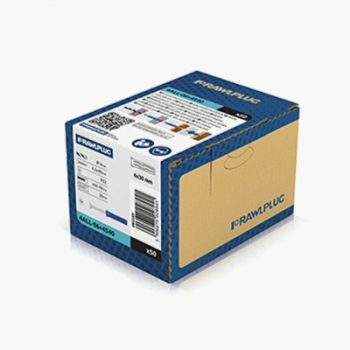 Rawlplug’s traditional trade packaging system comprises a selection of elegant and durable cardboard boxes released in two options: for lightweight and heavyweight products, the latter additionally featuring reinforced structure (five layer surface). We have designed the sizes of the heavyweight product packs to match them with dimensions of Euro-pallets, which allows us to deliver them in perfect condition, while at the same time we make the best of the available pallet stacking height. 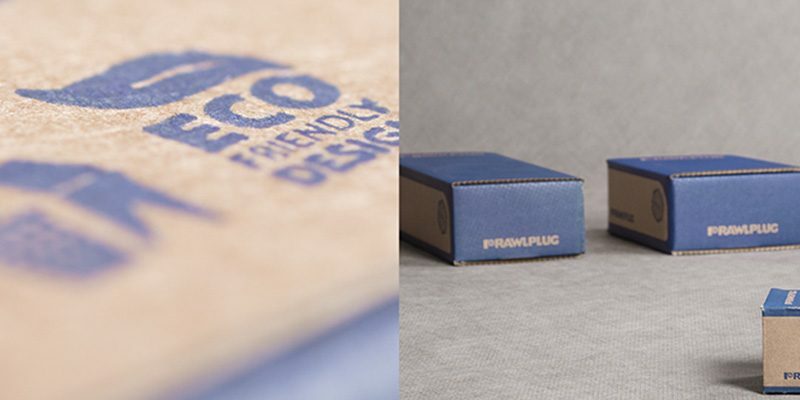 Rawlplug uses packaging of high or even 100% content of cellulose. 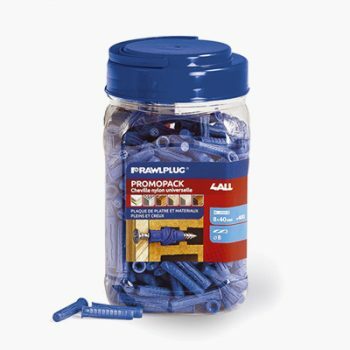 Rawlplug B-pack is one of the packaging options most frequently chosen by customers. And it is so for a number of reasons, the first being more sales-efficient vertical presentation of products. The bag structure is exceptionally stable and robust which, on the one hand, enables secure transport and storage of even large quantities of products defined as heavy, and on the other hand, allows for repeated opening and reclosing which users find particularly convenient. It is for the transparency of the packaging material that one can instantly identify and evaluate the content, while the product itself appears more attractive thanks to the smart packaging design. The handyman kit is each house or workshop owner’s must-have. 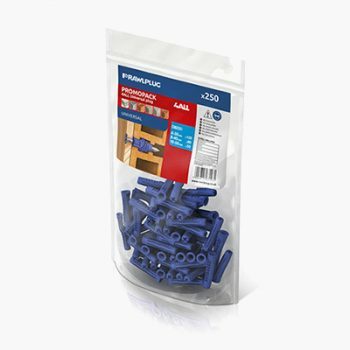 It consists of small sets of universal fixings required in most typical household repair and refurbishment works, but not only those, since contractors involved in large investments will find them particularly useful in testing products of specific categories. 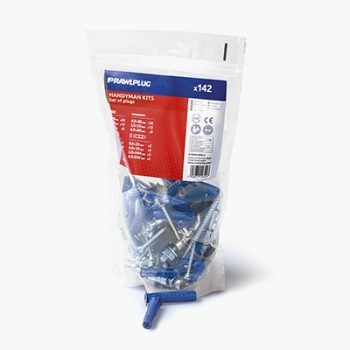 The kits are available in two options: economy D-Packs enabling repeated opening and reclosing and handy partitioned cases. Both packaging variants are made of transparent materials, making it easier to examine and evaluate products. 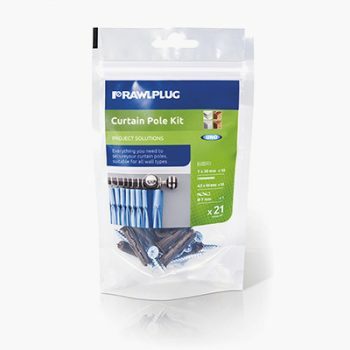 Solution kits are similar to handyman kits, with the exception that we use them to arrange sets of products perfectly matching requirements of specific repair and refurbishment works that are most typical for all households and which require fixing solutions. For these reasons, we have designed solution kits intended for installation of sinks, toilets, curtain rails, shelves or television sets. Customers will certainly also appreciate the attractive price of solution kits. An extension to the classical portfolio of packaging is what we call Promo packs, which are boxes dedicated to sales promotion, as the product description provided on the packaging is prepared for advertising purposes. 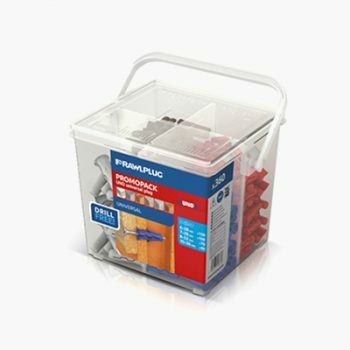 Rawlplug Combo is a line of medium capacity boxes made of transparent material which allows you to examine the content. 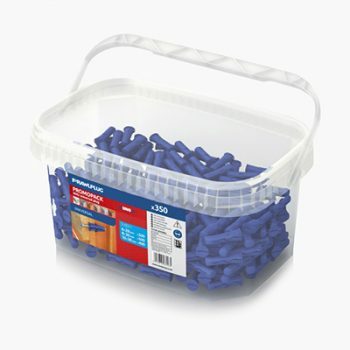 They are perfect for storage of plugs and screws. The box’s robust structure prevents damage on unloading, and its shape makes it possible to place large promotional labels with product information on it. Rawlplug Jumbo extends our portfolio of promotional packaging systems. It is a transparent case made of durable plastics, and similarly to most of our packages it ensures safe transport and unloading, while customers benefit from the possibility to examine the products they buy. Analogically to the Combo system, it also enables clear and attractive presentation of promotional information on a large label. What is unique about Rawlplug Jumbo is the small gift one will find inside. A jar is a truly innovative packaging format introduced into the fixings and fasteners market. A single unit can hold even up to 1,000 pieces of the product, while the plugs visible in a transparent enclosure are intended to impress the customer with their massive amount in compact packaging. The jar may come in a package with a tailored cardboard stand which adds to the attractiveness of the product display. Easy opening and comfortable grip make product unloading and handling much more convenient. The jar may also feature a large label containing commercial information provided in an attractive form.